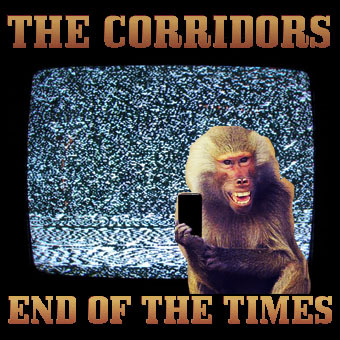 NEW MUSIC ALBUM REVIEW - THE CORRIDORS - "END OF THE TIMES"
By Andrew Goodwin of NEW MUSIC EAR www.newmusicear.com. ALBUM SUMMARY - "End Of The Times" is a great uplifting album with varying styles showing the band's creativity with some killer tracks. 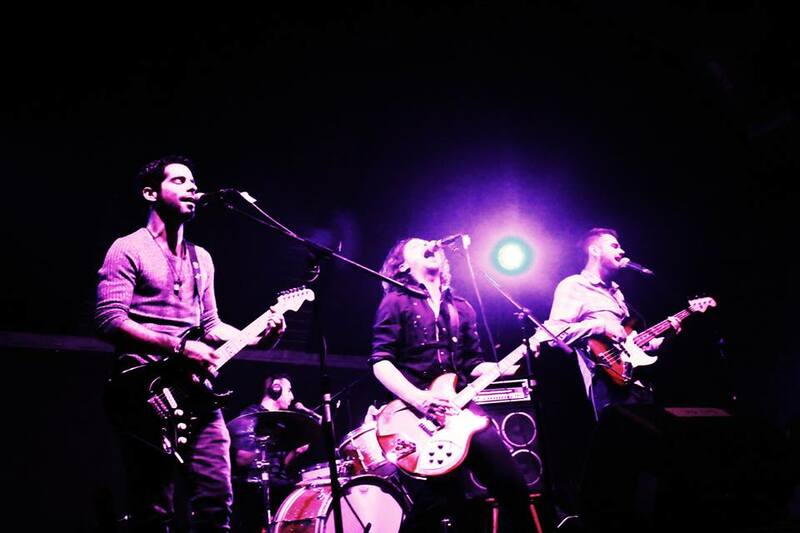 Superb lyrics and harmonies combine with Electronic effects, guitar riffs and even a Springsteen cover version! These corridors you should walk down and open the doors to some great creative Rock! 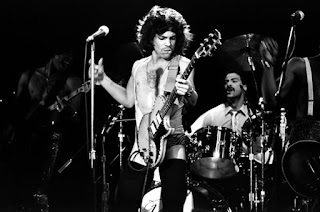 01 STOP THE WORLD - The opening track to the album starts with some Classic Rock guitars collaborating with almost 60s style Folk Rock harmonised vocals. This is a hippie sounding soft ballad of the highest order. A great track to ease you into an album of various styles, influences and genres that will make your ears pop with delight. 02 FACE OF THE GROUND - The Smashing Pumpkins influence is clearly evident on this uptempo rocker. There is definitely a little Progressive Rock going on as well with the slight electro sounding backing. An uplifting and positive killer track. 03 DELICATE CONDITION - One of my favourites, to categorise this closely, I could say it is an Echo & The Bunnymen/60s beat combo hybrid! Combining 80s early U2 guitar riffs, Electronic effects with brilliant harmonies, this is a proper chilled out foot tapper! 04 JUST LIKE THE WAY SHE THOUGHT IT WILL BE - An atmospheric guitar opening welcomes you to this Psychedelic Rock track. At 2 minutes 40 seconds the song kicks up a notch into 80s Rock territory complete with searing guitars and impassioned vocals. This gradually seams into a mellow Electro finale. Great song. 05 END OF THE TIMES - The title track delivers on many resounding points. The u2/Simple Minds early 80s Anthemic Rock opening blends with the Tom Petty-esque vocals to create a really great pure sound. Add a great chorus and some atmospheric effects and you have a compelling uplifting boost to your state of mind and its an aural delight! 06 I HAVE DIED A THOUSAND TIMES - Half way through this song and I was thinking what a beautiful ballad it was. It reminded me a little of The Stone Roses, then at around 3 minutes 10 the song changed to a style which was reminiscent of the late 80s Manchester band. 30 seconds later and a mega Rock finale ensues of Guns N' Roses proportions, one that Slash would be proud of. A brilliant song with a couple of surprising twists that change your view, which is why a good reviewer always listens to the whole song before making a genre claim! 07 I'M ON FIRE - A great cover of Bruce Springsteen's song, The Corridors made this their own, putting their own style to The Boss's version. 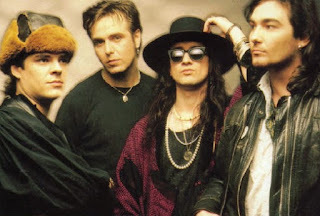 Atmospheric, anthemic and a little Electronic, make this a nice little add to the album, showing the band's versatility and confidence to do a cover version of a popular track. 08 EMPTY HOLES - This is a little similar to the English bands of the late 90s of the BritPop genre. It has enough going on to be interesting, although not my favourite, the Electronic sounds and distorted vocals and great lyrics carry this to be a slow burner. It grows on you with each listen. 09 WILD AS A RIVER - This final track is a contrast to the album as it is almost totally Electronic sounding. It has that Gary Numan/Orchestral Maneouvres In The Dark feel. There are no guitar riffs just distorted vocals and Electro effects. It is a very eerie track and after the positive opening of the album its quite a surprising and low ebb finale to it. Although I do love the final lyrics "Move with me, We’ll keep the rhythm, Of a secret melody, You’ve got to die, Before you start living again". It's a poignant thought but true, you have to go through the bad to get to the good, so I guess there is a positive message hidden in the song!